Don’t be shy – you’re going to love it! Heat skillet over medium heat and add olive oil. Sear chicken on each side for about 3 minutes. Remove chicken from pan and set aside. Add garlic and shallot to skillet and cook over medium heat for 1 minute. Add chicken broth and wine, cook until slightly reduced or about 10 minutes. Add sliced mushrooms and lower heat to a simmer. Return chicken to skillet, cover and simmer until chicken is cooked through or about 10 minutes. Add butter, balsamic vinegar and lemon zest. Stir to blend. Toss raspberries into and allow to warm about 1 minute. 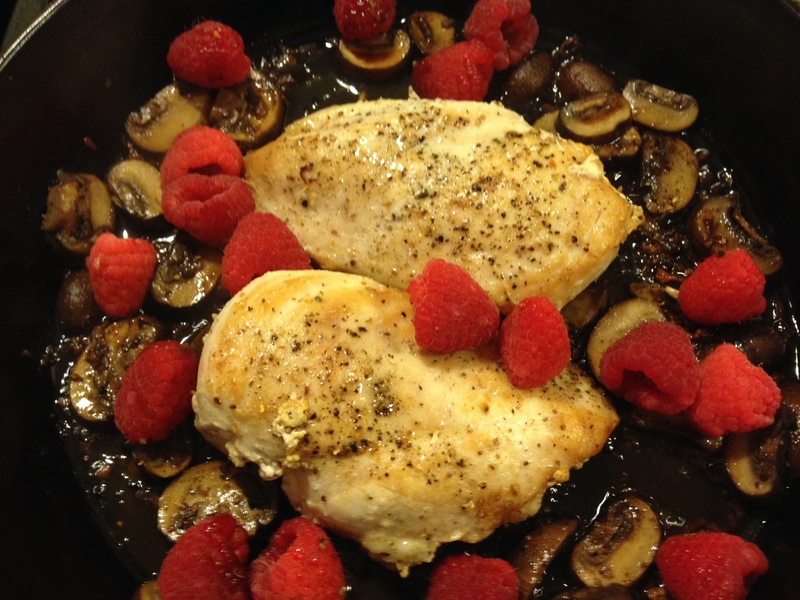 This entry was posted in Recipes and tagged #recipe, bariatric, CFWLS, chicken, diet, food choices, low carb, mushrooms, raspberries, tips, weight loss on February 12, 2016 by CFWLS.